Having seven internationally recognised technical certifications and 10+ years of IT Work Experience, Rahul is leading the Technical & developement Team. 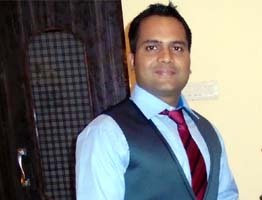 Rahul has several years of past work experience from Wipro Technologies. He worked for foreign as well as Indian clients. He is proficient on Technologies like Java/J2EE, Asp.net, C#, Struts , WCF, WCSF, WSSF frameworks, MVC architecture , SQL Server and many more. He has achieved certifications like : Sun certified Java Programmer, Microsoft Certified Technology Specialist, Microsoft Certified Professional Developer, Microsoft Certified Professional, BULATS Certified from University of Cambridge, Winning Certificates for Technical Symposium from IEEE,USA, e-Security and Compliances, Unified Competency, Tools Java Certified from Wipro Technologies. With sound knowledge & past HR experience Milan is leading the Office Administration and HR team. Apart from this she is much proficient in all image tools like photoshop, coral draw etc. She has also over 6 years of work experiences in different expertise like HR, Office administration, sales, marketing and even teaching. She has worked several years in Reliance telecome and Peripherals India Pvt. Ltd. She has also a keen interest in Carft and fashion and at part time she is providing hand art and craft trainings to needy people, students and house wives. Having 16+ years of IT experience, in India & USA in various MNCs, Manisha is the Lead Associate of Volt Technologies. 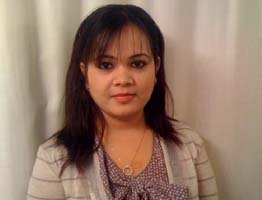 She has extensive experience with design, development & maintenance of IT application. Presently she is in newyork ,USA and handles works of Volt Technologies remotely. 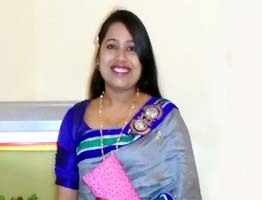 She has completed her education from BIT ,Mesra Ranchi. She has also worked for AIG , Bank of America as a technical analyst. She was in different roles and responsibilities in various projects and for various clients, like : Software Developer, Delivery Manager Client: Microsoft Corporation, USA, Designer and Module Leader Client: Microsoft Corporation, USA, Module Developer Client: TechData, Germany, Module developer Client: Compass Group PLC, Canada. With excellent management skills and past Technical and Managerial experience Kavita is leading the Trainings & HR Division. 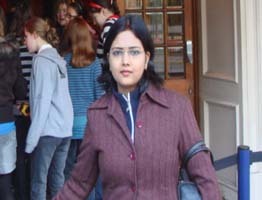 Kavita has completed her Masters in information technologies from Birla Institute Of Technology Ranchi . Later she worked for HCL Technologies, Noida for about 8 years. From her past experience in Technical fields and Talent Management she is managing the trainings division effectively. Company has been necessarily registered with different units to be marked as Govt. Regd. as and when required for a leading IT company at Jharkhand. We make ourselves available to our clients 24 x 7 for assistance.